Samantha Adams | Brooklyn College Art Dept | An advanced art program. Samantha Adams hails from a small town outside of Pittsburgh, Pennsylvania. After graduating from Duquesne University with a Bachelors degree in Art History and Women and Gender Studies, she moved to New York City to pursue her Masters degree in Art History from Brooklyn College. During her time as a student, she held an internship at Brooklyn Museum in the Development department. She was also a Teaching Assistant for an undergraduate art history course. Through her participation in Brooklyn College's Museum Education program, she interned at The Metropolitan Museum of Art. 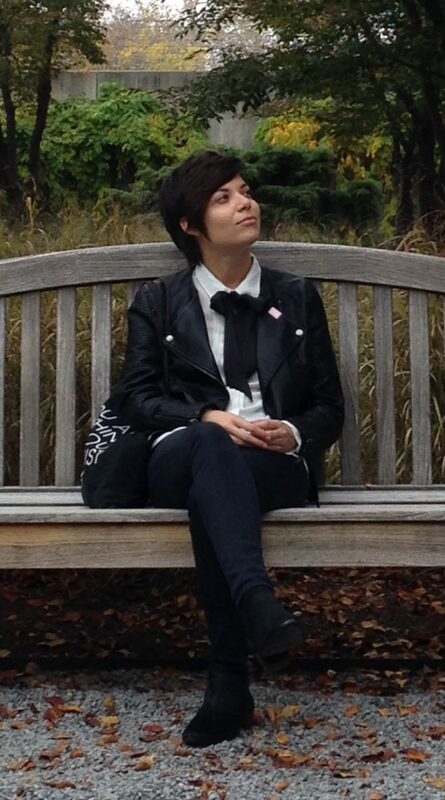 Her Master's thesis involved her interest in museum education and queer studies. The project explored museums' relationship to queer art and artists and featured a teaching guide for educators who may be unsure of how to approach queer subject matter with their students. Currently she works at The Metropolitan Museum of Art as a Studio Assistant within Family Programs.